This concise overview of the perception of Islam in eight of the most important German thinkers of the eighteenth and nineteenth centuries allows a new and fascinating investigation of how these thinkers, within their own bodies of work, often espoused contradicting ideas about Islam and their nearest Muslim neighbors. 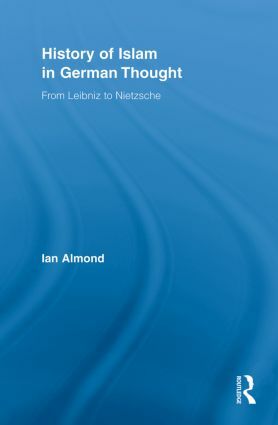 Exploring a variety of 'neat compartmentalizations' at work in the representations of Islam, as well as distinct vocabularies employed by these key intellectuals (theological, political, philological, poetic), Ian Almond parses these vocabularies to examine the importance of Islam in the very history of German thought. Almond further demonstrates the ways in which German philosophers such as Hegel, Kant, and Marx repeatedly ignored information about the Muslim world that did not harmonize with the particular landscapes they were trying to paint – a fact which in turn makes us reflect on what it means when a society possesses 'knowledge' of a foreign culture.